Transportation Commissioner Margaret Anderson Kelliher today announced last week 221 state road and bridge projects that will be worked on across Minnesota this year. The projects, some of which are already underway, will help maintain the state’s roads and bridges, improve safety for motorists and support thousands of construction jobs across the state. 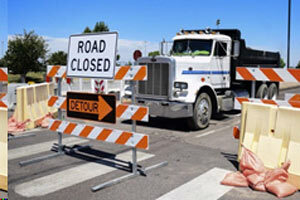 · I-35 Snake River – Construct four new bridges at Snake River at Hwy 70 and CR 7 near Pine City, resurface seven miles. For a complete list of projects by highway, visit www.mndot.gov/roadwork/current.html. Project page information includes construction schedule, traffic impacts, maps, benefits and costs. Motorists can stay informed about projects and other transportation topics by connecting to MnDOT via social media, as well as by signing up to receive email updates at www.mndot.gov.